Emirates and the Republic of Angola, in its capacity as the majority shareholder of TAAG Linhas Aéreas De Angola, announced the signing of a Management Concession Agreement which will see Emirates take a role in the management of TAAG. 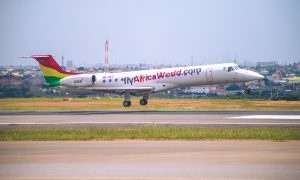 The agreement lays the foundation for both airlines to jointly leverage commercial opportunities in Africa and beyond. The ten year Management Concession Agreement was signed this morning by His Highness Sheikh Ahmed bin Saeed Al Maktoum, Chairman and Chief Executive, Emirates Airline and Group and H.E. Augusto da Silva Tomás, the Minister of Transport for Government of Angola. This initiative is to further the Republic of Angola’s vision to create a world class Angolan carrier with the support of Emirates. As part of the agreement, Emirates will work closely with the Angolan government and TAAG Linhas Aéreas De Angola to formulate and implement a business plan, provide management support and devise fleet and route network strategies, whilst bringing synergy through the complementary networks. Emirates will not contribute equity under this agreement but appoint four senior managers to work for TAAG Linhas Aéreas De Angola. Both airlines will also cooperate across a wide range of areas including bilateral code-sharing on cargo and passenger services, participation of customers in both airlines’ frequent flyer programmes and passenger and cargo handling. Emirates has also committed to allocate its resources to staff and crew training on best-in-class business and operational processes and systems.